While this legislation was drafted specifically to grant permission only for certain specified techniques, critics fear it will encourage scientists to push for other experiments in the future. No, no, said supporters on both sides of the pond. “This is not a slippery slope,” UK Public Health Minister Jane Ellison insisted. Susan Solomon of the New York Stem Cell Foundation agreed. Bioethicist Arthur Caplan also discounted worries about the slippery slope. So did the MP Frank Dobson, in the Commons debate. Really? We didn’t have to wait a week. 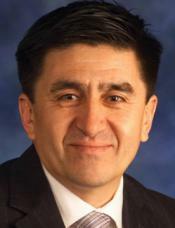 On Sunday, February 8, British newspapers reported that Shoukhrat Mitalipov of the Oregon Health and Science University (OHSU), who pioneered a variation of the techniques in question, had asked the FDA for permission to start clinical trials of it in order to treat age-related infertility. This concept is not new: It was part of the FDA discussions in February 2014, critiqued and dismissed, and discussed again last summer. Nor is it a surprise that Mitalipov applied, though this may be the first public announcement. if the technology was made available to infertile women in America, there would be growing pressure for Britain to follow, experts said.